We are seeking for a C++ Software Engineer for our (ESET Security Management Center) team in Žilina. 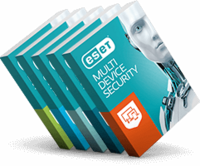 The ESET Security Management Center team develops the new generation of a security management console enabling remote monitoring and orchestration of security product settings on tens of thousands of physical and virtual computers and mobile devices on all the main software platforms (Windows, Linux, macOS, iOS & Android). Solution is provided as an on-premise software and as a cloud service). The Public Relations Manager is responsible for increasing positive coverage of ESET products, services and research in the media. This role will be instrumental in designing PR campaigns targeting influential members of the media covering consumer, lifestyle-facing audiences and business audiences. Additionally, this role will have a specific focus of growing mind share and awareness in the North America market. The PR Manager will also develop strategies seeking high-level placements in print, broadcast and online media. The Public Relations Manager collaborates with digital marketing teams to track product/campaign/coverage/promotions and reports on performance. The PR Manager is also be responsible for driving PR campaigns to increase ESET’s share of voice and media coverage, supporting events, and speaking engagements. Driving awareness for research discoveries, corporate announcements and campaigns, the PR manager plays a key role in the communication efforts of ESET in North America. Pro posílení týmu bezpečnostních testů hledáme nového kolegu na pozici penetračního testera. Pomůžeme Vám nastartovat kariéru a získat praktické zkušenosti v oblasti hledání bezpečnostních zranitelností od webových a mobilních aplikací až po složitější informační systémy. Očekáváme motivované zájemce, kteří se seznámili se základy bezpečnostního testování v nějaké oblasti pentestingu, a mají zájem pracovat na jejich prohlubování a získávání dalších zkušeností. The ESET Security Management Center team develops the new generation of a security management console enabling remote monitoring and orchestration of security product settings on tens of thousands of physical and virtual computers and mobile devices on all the main software platforms (Windows, Linux, macOS, iOS & Android). Solution is provided as an on-premise software and as a cloud service. ). Hľadáme kandidáta pre prácu v daňovom tíme, ktorý pokrýva široký záber projektov. Vítame, ak by kandidát mal okrem skúseností v oblasti slovenských aj medzinárodných daní aj záujem o účtovníctvo a IFRS. The Sr. Director of Marketing will be responsible for managing ESET North America’s strategic marketing plan and execution, leading a cross-functional team of marketing professionals and working directly with ESET HQ’s global marketing leadership functions to ensure proper alignment of Global/Regional goals. This role will lead the design, development and execution of all ESET North America marketing initiatives to include Demand Gen, Channel Marketing, Digital Marketing, New Customer Acquisition, Renewals, and Corporate Events. Reporting directly to our VP of Sales & Marketing, this individual is key member of a leadership team focused on supporting both new and renewal revenue across the consumer, SMB and enterprise business segments. We are looking for a Product Marketing Manager to create and execute a product marketing strategy to maximize revenue and profitability of ESET products in the Japanese market, working closely with sales, engineering, product management, support and marketing stakeholders at HQ/regional HQ in Slovakia/Singapore and ESET Japan, as well as our primary partner(s). The Product Market Manager, as Champion of the ESET products in Japan, will manage the product lifecycle with passion and strong ownership, from all the aspects of value proposition, launch readiness, competition, pricing, channel, while identifying opportunities and issues and taking necessary actions proactively. New colleague will be part of the Global Strategic Projects and his/hers mandate will be to manage projects in areas of process/system design and implementation. Larger projects are to be purely managed from the PM perspective, smaller projects/tasks require that PM will also be the project owner and will define the project itself - objectives, deliverables, scope, team, etc.